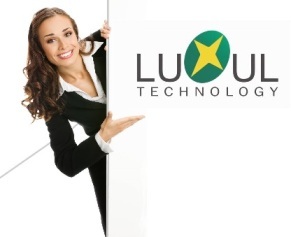 Luxul is the industry's leading "Buy American Compliant" LED Lighting Provider. ESCS distributes the best patented Luxul LEDplugnplay tube lamps and Cello LED Dimmable tube lighting. Choose from over 400 light bulbs wholesale for commercial buildings, retail stores, parking garages, warehouses, malls, airports & official government buildings. The T5 and T8 LED tube lights are fully compatible with the existing light fixtures using electronic or magnetic ballasts. Get an easy non-electrician replacement to fluorescent bulbs to save time & energy to reduce overhead costs by 50%. Their latest innovation, the Match Metered Smart Switch, can allow you to control the light switches right from your smartphone. Get 5-year warranties for lights up to 50,000 continuous hours and the existing ballasts that we didn't sell you. It couldn't get any more convenient! Luxul's energy-saving LED Lighting Tubes are for commercial properties, warehouses, parking garages, and mil-spec use. Save the cost and hassle of changing the whole fixture by an electrician with our LEDplugNplay lamps. ESCS is proud to introduce CELLO Lighting's Dimmable LED plugNplay Lamps! DIM IT. Cello did it again, with "La Lune," the first intelligent LED tube. La Lune uses green technology, are free of hazardous material and UV emissions providing! Functionality, savings in energy & your operating budget money are all improved. Cello Lighting Lamps are backed by more than 50 worldwide patents & certifications. CELLO PlugNPlay Dimmable Turnkey Tubes don't require a dimmable ballast & dims to 100% 80% 50% 30% utilizing your existing switch! Find out how to use this state of the art intelligent bulbs in your existing fixtures. Scan the QR codes below for even more great info!